The Honest History association has donated royalties from sales of The Honest History Book to help history teachers and professional historians. Honest History has donated $800 to the Australian Historical Association to assist secondary school history teachers to attend AHA annual conferences and $800 to Professional Historians Australia to assist early career professional historians to attend PHA conferences. ‘Honest History’s generous donation of $800 to the AHA will support history teachers to attend the AHA annual conference in 2019 and 2020’, said AHA President, Professor Joy Damousi. ‘This financial assistance will greatly benefit the attendees and further foster close connections between the AHA and history teachers.’ Honest History has been an affiliate of the AHA for a number of years. Professor Damousi was a foundation member of the Honest History committee. ‘Professional Historians Australia is delighted to accept this generous donation from Honest History’, said PHA President, Jill Barnard. ‘The donation will allow the association to assist early career historians to access professional development opportunities and to present their own research findings to peers at PHA national conferences in the future. Many members of our association work in isolation and on insecure incomes. The assistance provided by Honest History will enable the association to continue to encourage the development of historical skills of a professional nature in all our members.’ PHA website announcement. 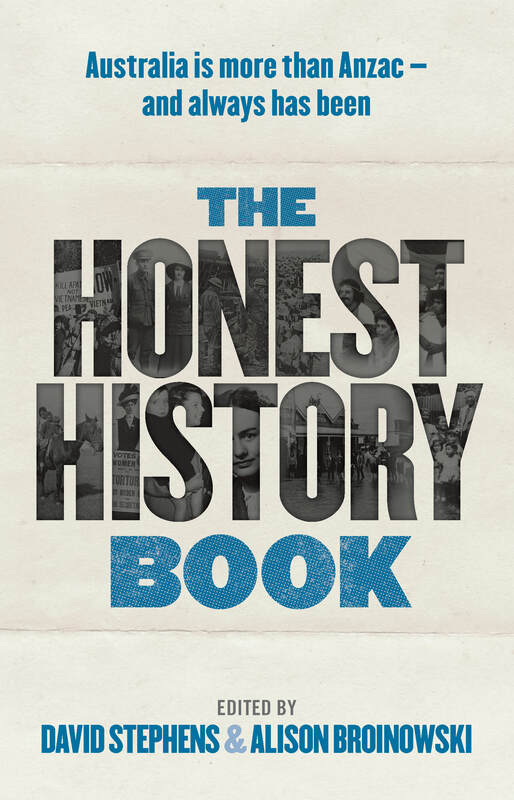 The Honest History Book, co-edited by Honest History’s secretary, David Stephens, and vice president, Alison Broinowski, was published in 2017 by NewSouth and has sold well over 2000 copies. The co-editors agreed some time ago that the royalties could be used by Honest History. Discussion among Honest History association members led to the decisions to donate the money to the AHA and PHA. Management arrangements for the Honest History website are in transition, with the Honest History association winding up after five years. The website will continue under David Stephens as editor, with an emphasis on book reviews and familiarising users with the vast resources (more than 3000 posts) found on the site.